SEBASTOPOL, Calif. — It would be almost impossible to visit this town, in the heart of Sonoma County, and miss the Gravenstein, the sweetly tart (or tartly sweet) apple whose name suggests a Transylvanian undertaker. 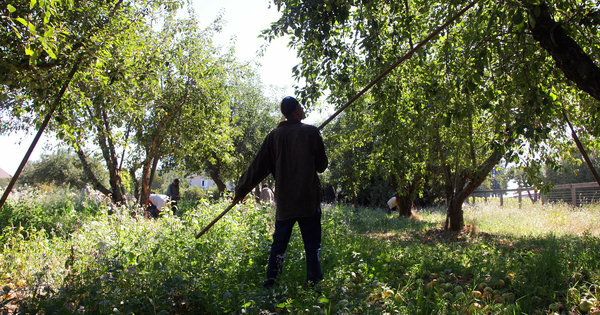 The Gravenstein is harvested in August and often gone by Labor Day, and its name emblazons a local highway, a couple of schools, a town shopping center and an annual festival that draws thousands of visitors — and apple-a-day acolytes — to this mellow Bay Area getaway. But despite its fame, the delicate little Gravenstein —the jewel of a once-thriving apple industry in the county — is in danger, its supporters say, in large part because of another product from Sonoma: wine. Indeed, according to a recent report from the county agricultural commissioner, wine grapes were far and away the No. 1 crop in 2010, valued at about $390 million, while the Gravenstein checked in at No. 13, with a mere $1.7 million. And as goes profit, so goes the plow; land used for Gravensteins has dropped to 763 acres, the report said, down from 833 acres in 2009, part of a long decline in apples in the county. Wine grapes, meanwhile, took up more than 56,000 acres, with an array of cabernets, pinots and merlots soaking up sun and valuable water. All of which has caused enough consternation among Gravenstein farmers and Gravenstein fans to set off a counteroffensive to “save the Gravenstein,” a motto seen on bumper stickers and handmade signs across the county. Leading the charge is a local chapter of the Slow Food movement, which promotes traditional and sustainably produced foods and which has enlisted dozens of restaurants to feature the apple in dishes and desserts, placed wooden boxes full of free Gravensteins all around Sebastopol and blanketed farmers’ markets with free samples of its juice. Paula Shatkin, the coordinator of the project to save the Gravenstein, says that its roots in Sonoma — it was widely planted here by homesick Russian immigrants in the 1800s — and its unique flavor make its survival crucial. Like all classic heroes, however, the Gravenstein has a fatal flaw — or two. The apple ripens earlier than most, but does not travel or age well, unlike big-time brands like the Red Delicious, meaning that getting them to distant markets can be a challenge. “They’re kind of ephemeral,” Ms. Shatkin said. All of which has lent the Gravenstein a certain niche in food circles, with special-occasion restaurants like Chez Panisse in Berkeley signing on to use Gravensteins, something that the apple’s fans hope will raise its profile — and price. But while premium grapes — and the wine they make — might be able to command top dollar, farm economists say that consumers will pay only so much for an apple. Mr. Sumner says that the decline of the Gravenstein is part of an age-old cycle on the farm as certain crops go in and out of fashion, often as a result of larger market forces, changes in technology (including irrigation) and competition from other states and countries. And right now, he said, wine is king in Sonoma, where the number of apple-processing plants has shrunk to one. For their part, grape growers say they should not be demonized as land-devouring opportunists. Still, Mr. Frey said he sympathized with orchard owners. “There’s a lot of history and a lot of sentimental attachment, but I think if you’re losing money, you can only lose money for so long,” he said. None of which would have been apparent at the annual Gravenstein Apple Fair, in mid-August. Thousands of apple enthusiasts crowded in, taking in bluegrass music, hay rides and a cacophonic display of antique engines. Barbara Walker, whose family has been growing apples in Sonoma County for more than 100 years, said the response to her Gravensteins had been outstanding, with dozens of boxes sold. But at the same time, she understood that like the Gravenstein itself — here today, gone tomorrow — success could be short-lived. (Sweet Soy Sauce) - 20.2fl oz.